"73% Consumed on the Way Home"
The cake will rise over the top of the mug, but don’t be alarmed! 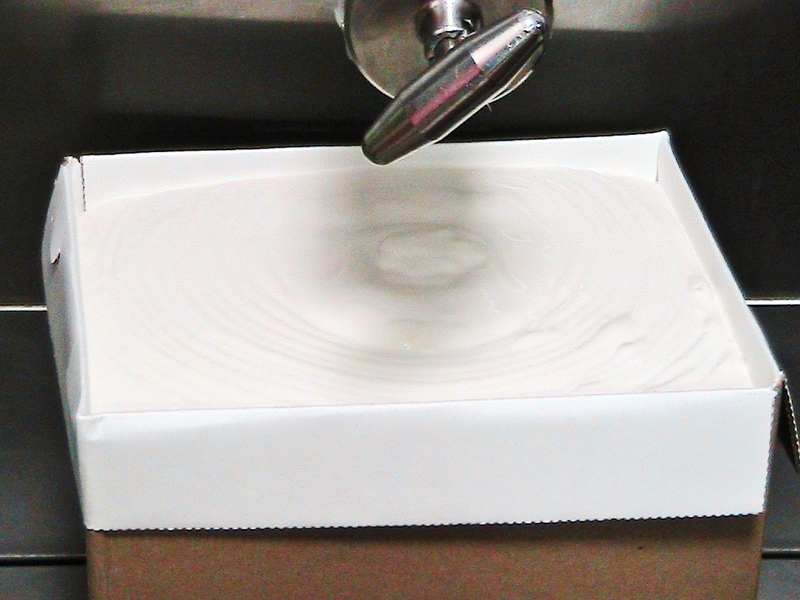 Allow to cool a little, and tip out onto a plate if desired. EAT! (this can serve 2 if you want to feel slightly more virtuous). 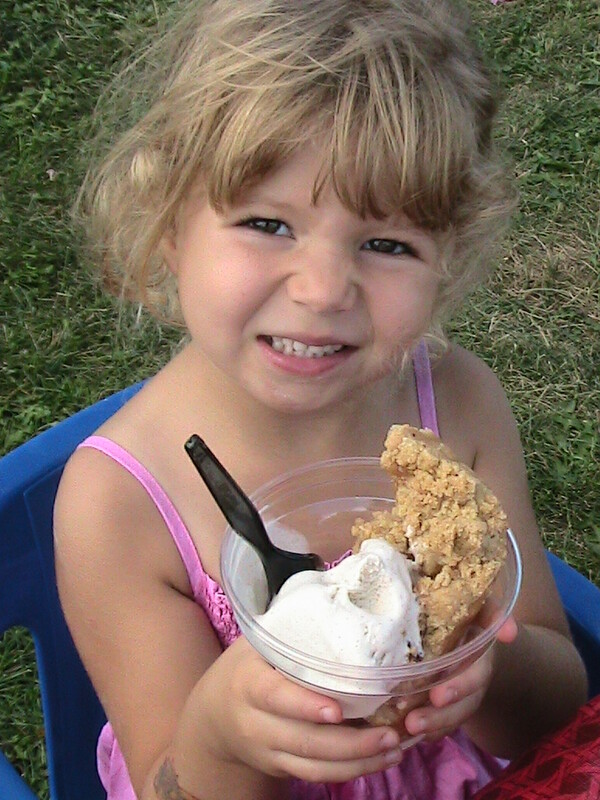 On a beautiful August day, Sassy Cow Creamery opened their doors to the public for a dairy-rific experience of an Ice Cream Social–and boy was it a treat! 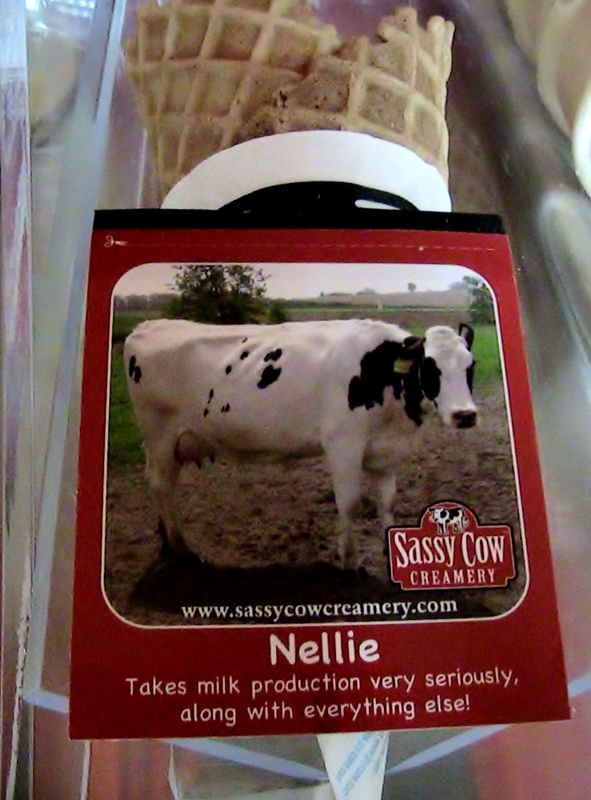 I took my two kids on the 1 1/2 hour drive out southwest of Columbus, Wisconsin to tour the creamery and dairy, but what we experienced was more than just a tour. Granted, my kids are pretty stellar and enjoy some kind of odd things, but this was an event that any family would enjoy. 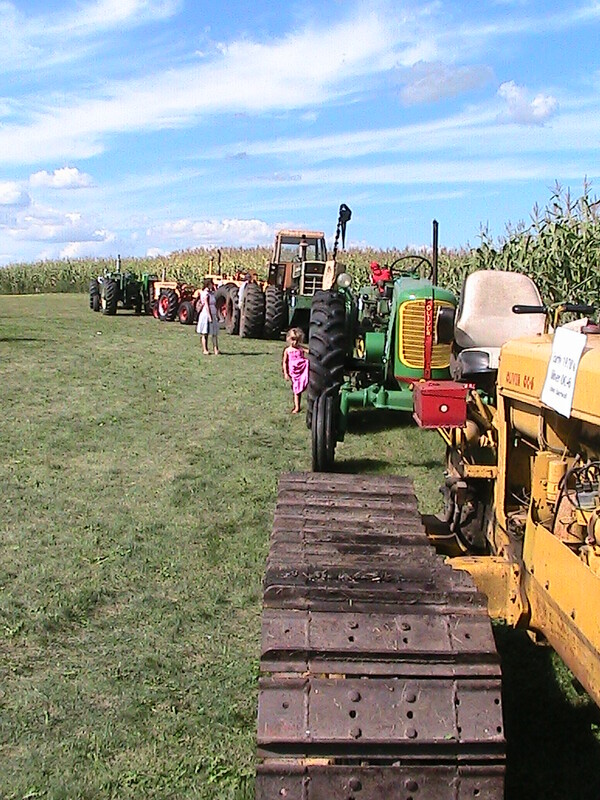 There were animals to see and pet, coloring books to color, tractors to fancy upon, corn to jostle around in, and a hay ride that towed us to the farm. And ICE CREAM to sample. 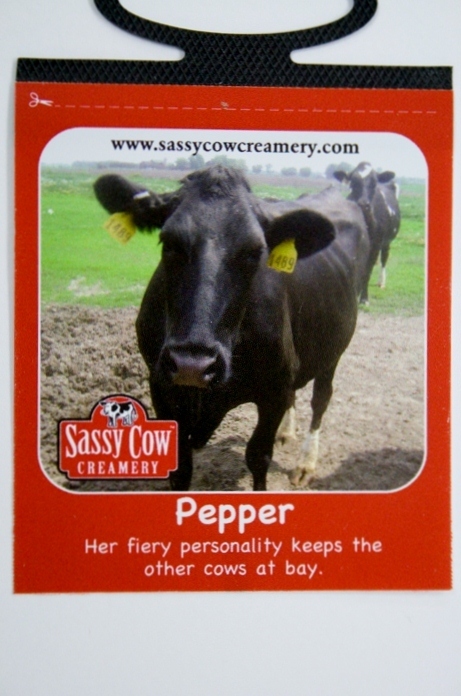 Although the Chocolate Chisel serves Sassy Cow’s ice cream, we learned that Sassy Cow also bottles milk and cream and makes string cheese and cheese curds, each product on an alternating day. My favorite day is Thursday, though. That’s when they make the ice cream. We knew that the ice cream was made in small batches, but when we saw a single ice cream maker (smaller than the ones you see on Food Network’s “Iron Chef” or “Chopped”), we were shocked. 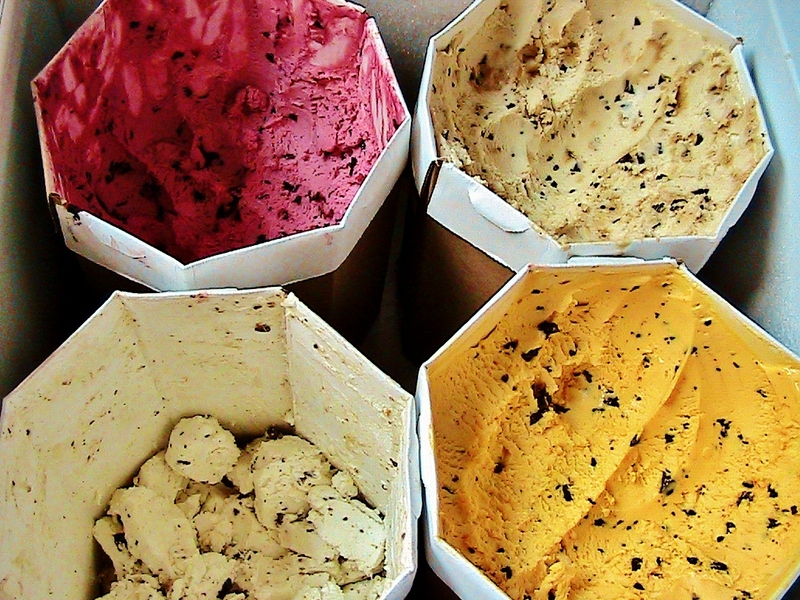 All 16 flavors of creamy goodness in our ice cream case come from that one single machine?! 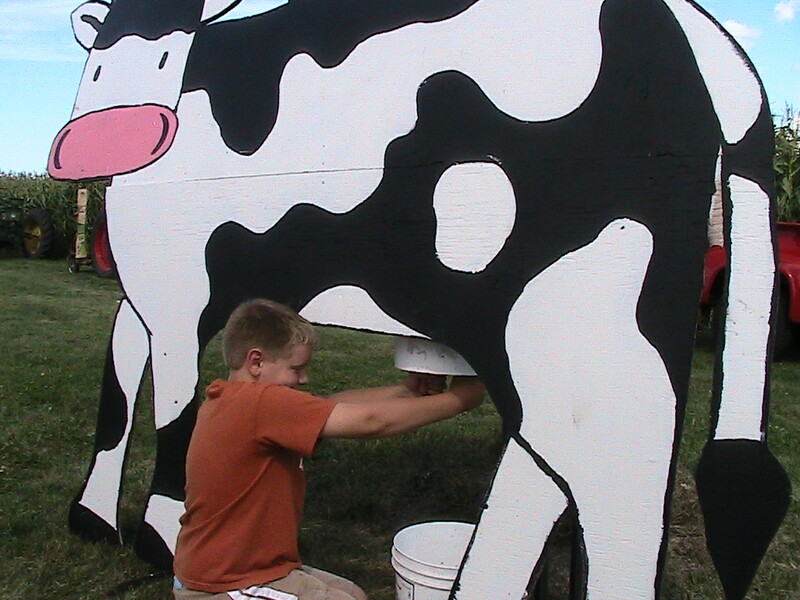 It turns out that Linda, sister of the two brothers that own Sassy Cow, spends all day–sometimes until 10:00pm–making batch upon batch of ice cream. 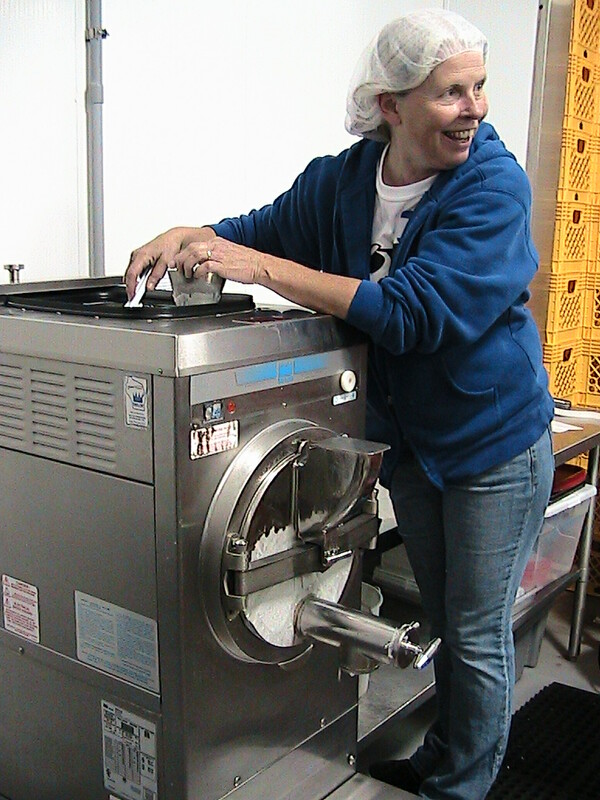 She’ll whip up each flavor in the machine, but if there’s something with a swirl, she’ll throw in a little extra TLC by folding in those chunks by hand. In my book, there’s nothing simple about folding in the perfect amount of “stuff” in a perfect swirl to get the perfect scoop of ice cream in perfect proportion. 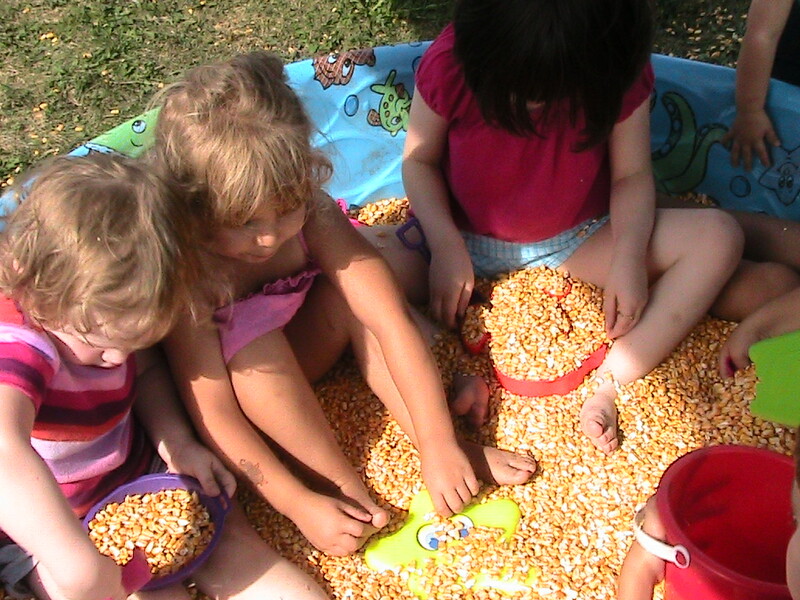 Can you imagine folding in chunks of cookie dough or caramel gallon after gallon? I think my arm would fall off. Linda, shout out to you, our ice cream hero! 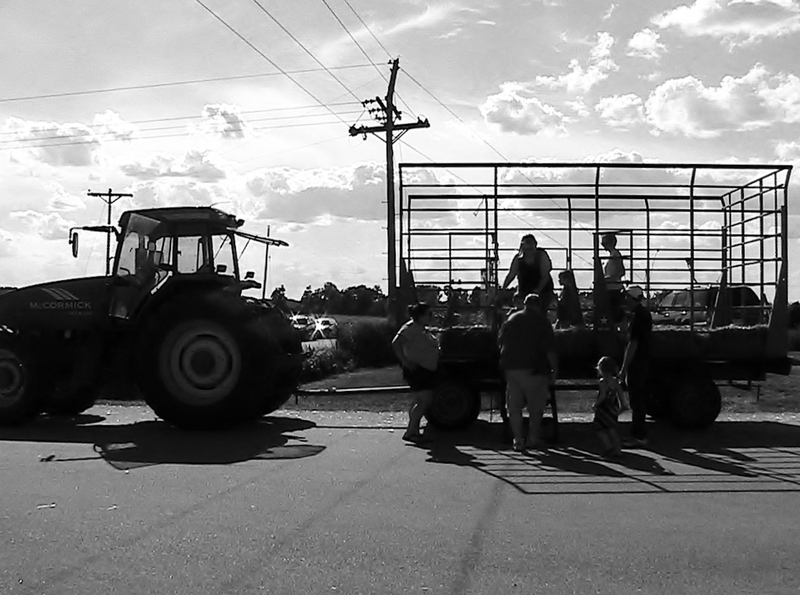 After we got in on the last creamery tour of the day, we hopped on the hay wagon that took us 1/2 mile down the road to the dairy farm. 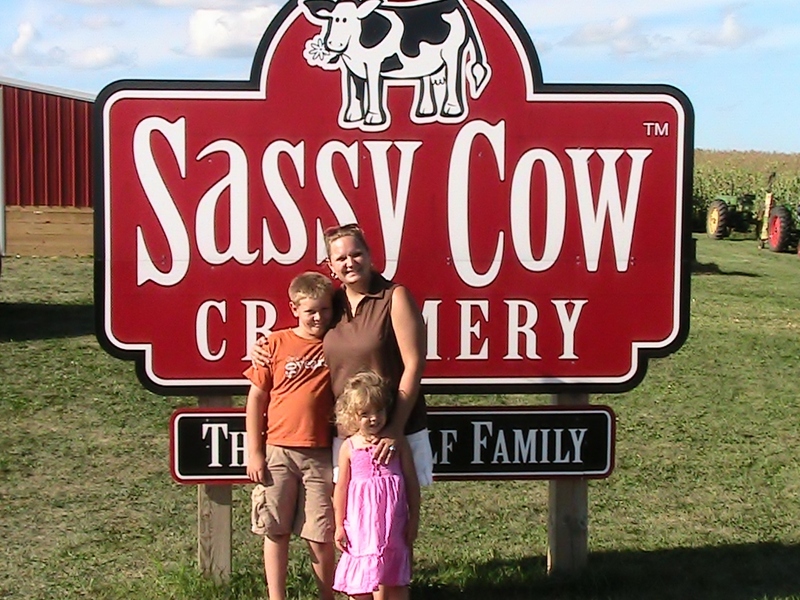 That’s where we met James Baerwolf, farmer and owner of Sassy Cow. He introduced us to the cows, although they seemed more interested in consuming hay than meeting us. 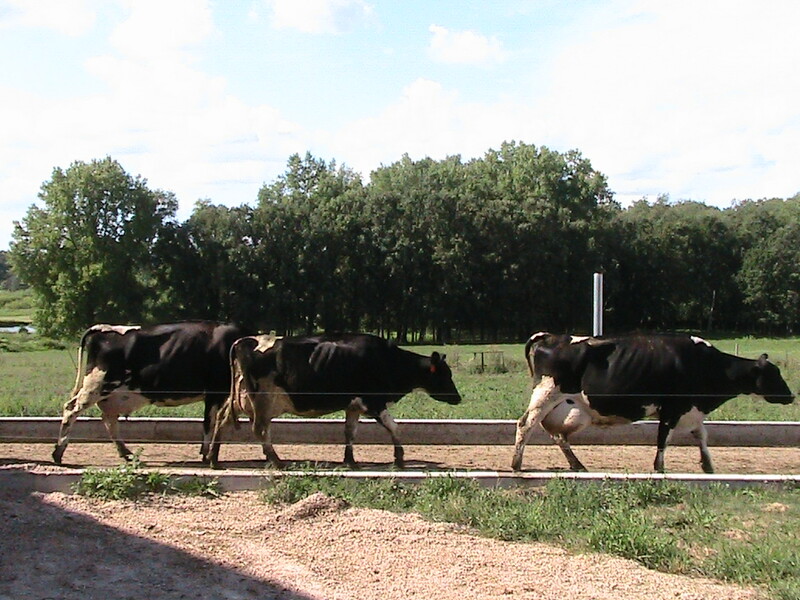 Half the herd had already walked over to the barn to be milked while this bunch greeting us awaited their turn. 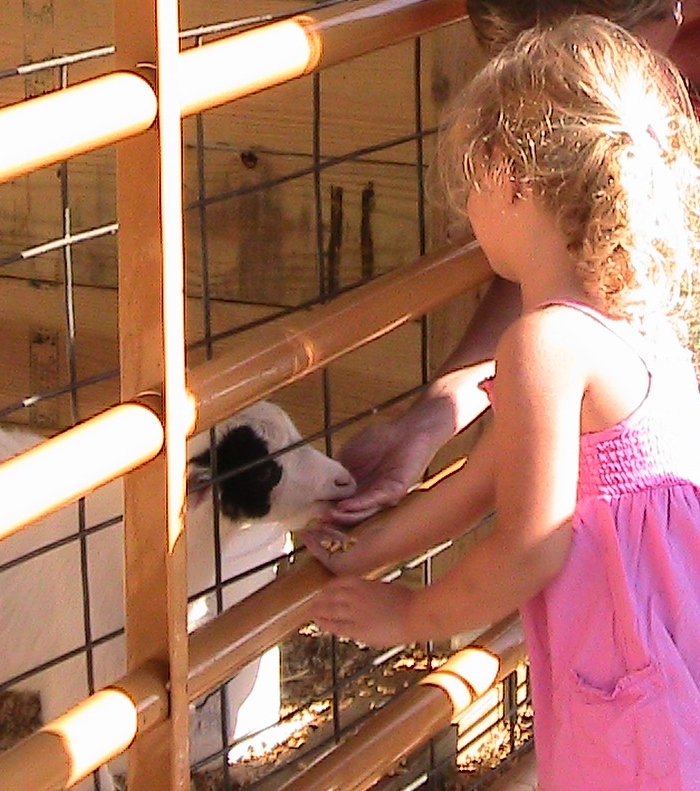 8am-afternoon – Head out to the pasture for some fresh grub until it gets too hot. Head back to the barn. They don’t like being hot. I found it interesting that the barn doors are left open and other than milking, the cows get to decide when they want to come or go. I always figured cows to be kind of dumb, just following the crowd, but apparently they have feelings, too. Who knew? Aztec Hot Chocolate, Blueberry Crisp, Macinapple Fudge, Sweet Potato with Marshmallow (hands down, our favorite! 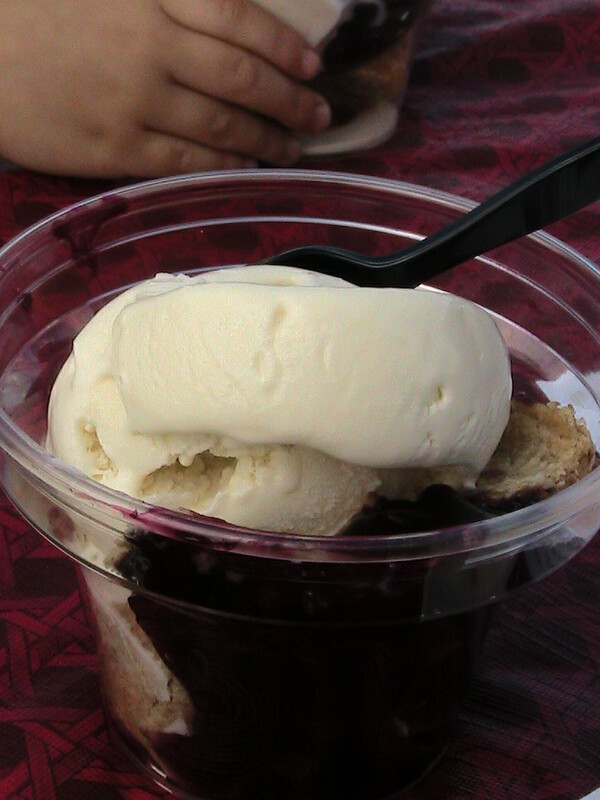 ), and enjoy some Pie A La Mode. Let me tell you, we were in rolly-poly heaven! It was a day of sweet enjoyment and fresh air. 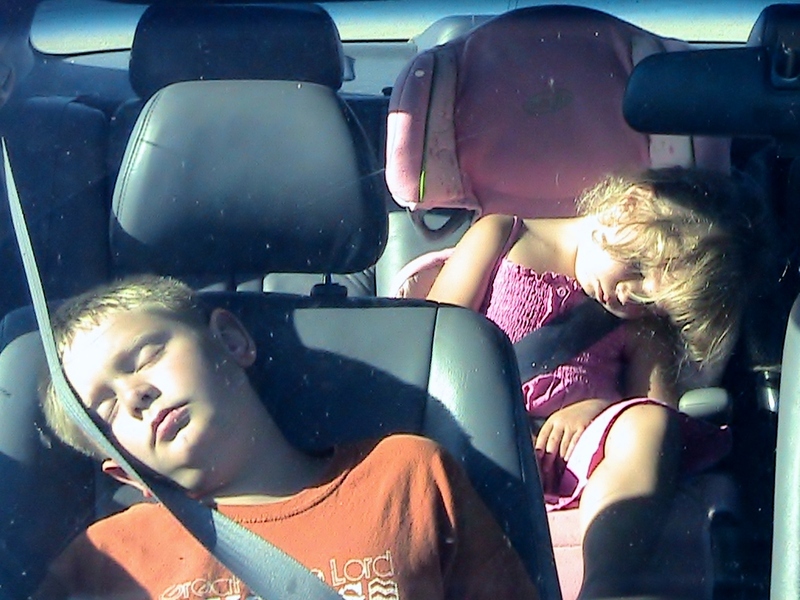 An experience we’ll never forget, and a ride home that the kids will never remember (they were out in the first 5 minutes). 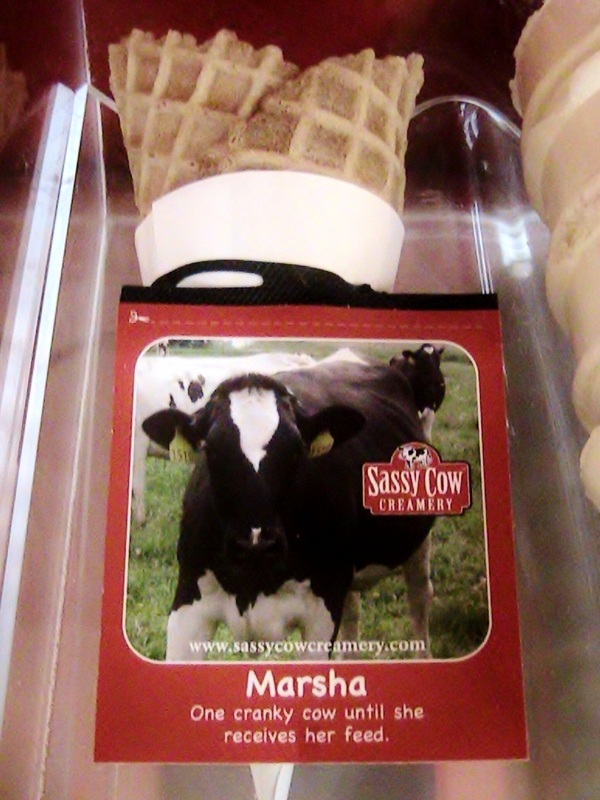 To find out more about Sassy Cow Creamery, click here to go to their website. 1. Choose your flavor. We have dozens of truffle flavors–you know them well, I’m sure. But John is always looking for creative outlets, so if “Pina-Colada” or “Marshmallows and Cookies” are more your taste, go ahead, throw us a curve ball. And since all employees like to share their opinion in the taste-test departement, we’ll make sure it tastes fantastic! 2. Choose your design and color. When you walk into the store, the first thing to grab your attention is our beautiful display case of truffles in all different shapes and sizes. Which shape strikes your fancy? Is it the romantic Raspberry Heart? Or the elegant, striking simplicity of the Port Wine Cone? Or do you prefer the new varied artistry of Chunky Dave? Whichever your fancy, make a striking statement with a design that fits your occasion and colors to match the flowers. 3. Choose your presentation. Forget the little squares of mesh wrapped with in a ribbon. You’ll love working with Elizabeth to create a beautiful little box of chocolate that’s just as stunning as you are. From simple boxes that highlight the chocolate beauties, to cashes that hide your sweet little delights until opened, the possibilities are nearly endless. So, what’s in a favor? Here’s hoping for a beautiful box of truffle goodness…the rest is just cake. Our customers are saavy consumers and they want to learn everything about chocolate. Our customers not only want the pleasure of tasting and eating exceptionally delicious bars, barks, and chocolate truffles that we serve up here at The Chocolate Chisel, but they crave all the facts about chocolate too. Let us help you become a chocolate expert! Chocolate, no longer a guilty pleasure, but a healthy one! Everyone can enjoy chocolate on a daily basis! Here are some of the latest headlines we found searching google with the key words, “Health Benefits of Chocolate.” Try it yourself! You’ll find a wealth of information online. Below are amazing exerpts from online we wanted to share with you. Consuming chocolate containing plant sterols and cocoa flavanols can lower cholesterol and blood pressure levels, according to a study published in the Journal of Nutrition. Plant sterols, natural compounds found in certain vegetable oils, cereals, fruits and vegetables, were previously shown to be safe and effective in lowering cholesterol levels, and this study adds to that body of research, reported Food Production Daily. Effects: Dark Chocolate: A Fix for Smokers’ Plumbing? Dark chocolate, but not white chocolate, may improve the ability of smokers’ blood vessels to expand and contract in response to the body’s needs, Swiss researchers have found. The scientists divided 25 smokers into two groups. One group ate about two ounces of dark chocolate containing 74 percent cocoa, and the other consumed two ounces of white chocolate, which contains no cocoa. The investigators calculated platelet activity and the flexibility of the blood vessels, two measures of healthy function, in an artery in the upper arm of each subject. ‘Dark Chocolate may help alleviate the symptoms of chronic fatigue syndrom,’ British study says. The study’s lead author says polyphenols in dark chocolate are responsible for a reduction of symptoms of the condition, which is characterized by muscle fatigue after physical exertion. Getting your chocolate fix may actually help fix aging blood vessels, according to a new study. Researchers found adults who drank a specially processed cocoa beverage rich in flavonols for four to six days improved their blood vessel function, and older adults appeared to benefit the most. “Aging is typically associated with deterioration in vessel health, specifically related to function of the critical inner lining, or endothelium,” says researcher Naomi Fisher, M.D., assistant professor of medicine at Harvard Medical School, in a news release. “Our findings demonstrate that consumption of this flavonol-rich cocoa can improve the function of blood vessels in a healthy elderly population.” Flavonols are a class of antioxidants found in plant-based foods and beverages — such as cocoa, wine, and tea — that have been increasingly linked to heart benefits. Is Chocolated Healthier Than Green Tea? “Chocolate contains up to four times the anti-oxidants found in tea.” Sound too good to be true? In fact, that was the conclusion of a recent study by Holland’s National Institute of Public Health and Environment. Researchers found that chocolate – specifically dark chocolate – contains 53.5 mg of catechins per 100 grams. (Catechins are the powerful anti-oxidants that help prevent against cancer and heart disease). By contrast, 100 ml of black tea contains a mere 13.9 mg of catechins. Eating chocolate to stay healthy? Well, why not? Scientists have established that there are important health benefits to be gained from drinking red wine, so why not chocolate as well?…. A cup of green tea with a chocolate biscuit or a piece of dark chocolate sounds like a great way to begin the day! Expectant mothers can take heart this Easter. Tucking into chocolate eggs is good for the baby, according to a study of over 300 women – especially if you are feeling a bit on edge. Katri Raikkonen at the University of Helsinki, Finland, and her colleagues asked pregnant women to rate their stress levels and chocolate consumption. After the babies were born, they looked for an association between the amount of chocolate their mothers had eaten and the babies’ behavior. Six months after birth, the researchers asked mothers to rate their infants’ behavior in various categories, including fear, soothability, smiling and laughter. The babies born to women who had been eating chocolate daily during pregnancy were more active and “positively reactive” – a measure that encompasses traits such as smiling and laughter. Eating dark chocolate helps blood vessels function more effectively, researchers have claimed. Writing in the Journal of the American College of Nutrition, University of California researchers found a chemical in chocolate helped vessels expand. Chocolate’s Secret Power. Just 1 oz of dark chocolate packs a big antioxidant wallop. You’ve read it before: Dark chocolate, the richer in cocoa the better, is not only a to-die-for treat, it’s actually good for you. And just 1 oz of a very special chocolate packs more than twice the healthy antioxidant punch of red wine or other dark chocolates. “Cocoa is rich in antioxidant flavonoids called flavanols, which include procyanidins, epicatechins, and catechins,” explains Harold Schmitz, PhD, director of science at Mars, Inc. Studies have shown that people with high blood levels of flavonoids have lower risk of heart disease, lung cancer, prostate cancer, asthma, and type 2 diabetes….Hot cocoa tops red wine and tea in antioxidants; may be healthier choice. Researchers at Cornell University have shown that the popular winter beverage contains more antioxidants per cup than a similar serving of red wine or tea and may be a healthier choice. The study adds to growing evidence of the health benefits of cocoa and points to a tasty alternative in the quest to maintain a diet rich in healthy antioxidants, chemicals that have been shown to fight cancer, heart disease and aging, the researchers say. Previous research has hinted that chocolate may be healthy, and now a new UCSF-led study will tickle the hearts of chocolate lovers. School of Nursing researchers on Wednesday (November 20) reported a potential link between cocoa flavanols contained in certain chocolates and improved blood vessel function, which is believed to be an important indicator of cardiovascular health…. London — An ingredient in chocolate may actually be a more effective cough medicine than traditional remedies, New Scientist reports. A new study from Denmark found that those who eat dark chocolate consume 15 percent fewer calories at their next meal and are less interested in fatty, salty, and sugary foods. And research shows that dark chocolate can improve heart health, lower blood pressure, reduce LDL (“bad”) cholesterol, decrease the risk of blood clots, and increase blood flow to the brain. Dark chocolate boosts serotonin and endorphin levels, which are associated with improved mood and greater concentration; it’s rich in B vitamins and magnesium, which are noted cognitive boosters; it contains small amounts of caffeine, which helps with short-term concentration; and it contains theobromine, a stimulant that delivers a different kind of buzz, sans the jitters. “So, when did you decide to get ice cream?” It’s a common question of customers that have come in, suprised to see ice cream sandwiched between truffles and carmels. It’s actually been in the works for a while. But after nearly 9 months of preparation and decision-making, we finally have the treat that perfects a warm, sunny day in Port Washington. Of course, it will brighten your day on a dreary one, too. 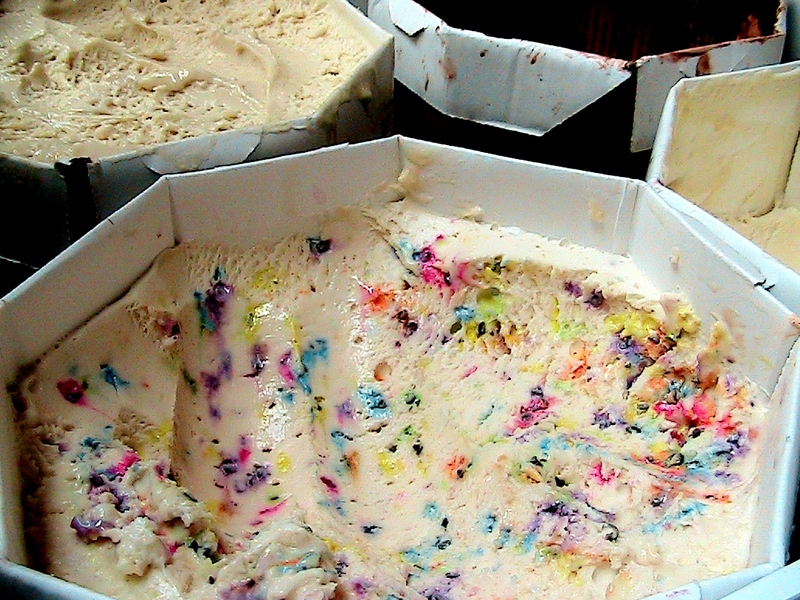 Birthday Cake Ice Cream, whether it's your birthday or not! 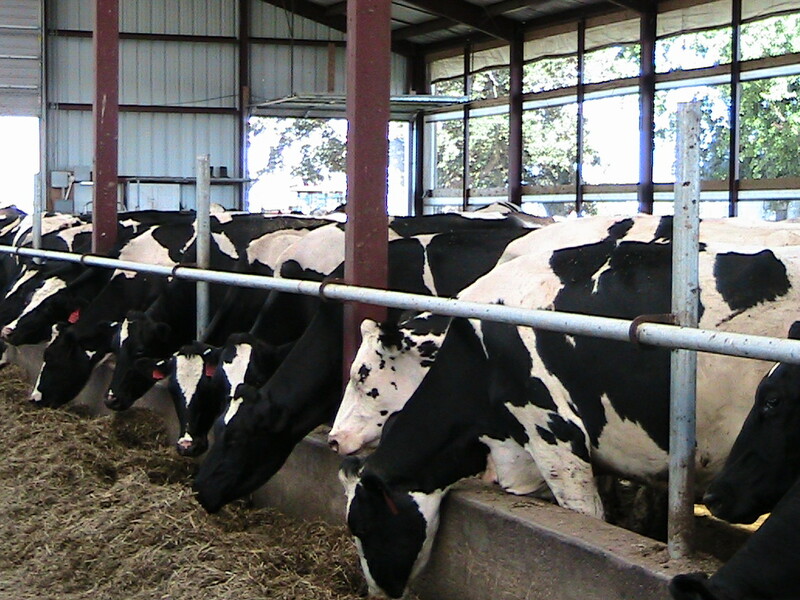 * It’s an organic dairy that processes their ice cream in small, fresh batches. How small and fresh? Put simply, they make the ice cream when we place the order. * They pack the ice cream flavor full of “stuff”- important to maximize each sweet lick. * Flavors like Purple Cow, Salted Caramel and Orange Chocolate Chunk make it unique and hard to pass up. * Where else can you meet your ice cream source? Cinco de Mayo Does Chocolate? You may think that a Mexican celebration and Chocolate have nothing to do with one another. Ah ha! You’d be wrong! Why, it was the Aztecs that first found and ate chocolate, afterall. Although the Aztecs usually had their chocolate with spices that we haven’t often associated with chocolate, those flavors are making a very belated comeback through Mexican Hot Chocolate often served in coffeehouses or chocolate like our very own Chipotle Truffles. These flavors are being welcomed as we gain the satisfaction of our chocolate craving while keeping our taste buds guessing. In honor of this holiday, here is a great Mexican meal that will be sure to impress any Mexican connoisseur. Try these recipes on the holiday or keep them on hand to be your summer Mexican delight! Mexican Hot Cocoa – Top it off with a dash of cinnamon and ground red pepper for a symphony in your mouth. Great on a cool day or over ice on a hot day! 1. Buy a churro or two (Costco has some pretty awesome ones in their snack bar for $1 each), cut into bite-sized pieces then dip in warmed Hershey’s syrup. 2. Bake up your favorite brownie recipe adding 1 Tbsp Cinnamon to the batter. Dust the top with cocoa powder, powdered sugar or more cinnamon. BAM! Mexican “Flourless” Chocolate Cake. 1.) Dying for Chocolate by Diane Mott Davidson, featuring a murder mystery who dunnit, with a caterer as the protagonist, and lots of delicious chocolate recipes laced throughout the chapters. 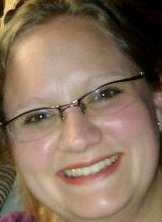 She’s also written 14 other chocolate mysteries. 2.) The Chocolate Cupid Killings by JoAnna Carl, A chocoholic murder mystery filled with tasty Chocolate trivia while the murders are being solved. 3.) Like Water for Chocolate was a novel written in 1989 by Laura Esquivel and is still considered a classic read today. This passionate Mexican Novel has a recipe with every chapter. I reread it every few years, enjoying it each time as the first. What’s your favorite chocolate read? Sounds like a delicious way to read. I am going to have to try it myself!